According to Variety, Amazon Studios has announced that the production of an upcoming Jonas Brothers documentary will be in the works in a partnership with Philymack — a division of the same music company Republic Records, that recently signed on the rep the band. Formed in 2005, the Jonas Brothers gained popularity from their appearances on the Disney Channel television network before writing their first Hollywood release.By the summer of 2008, Nick, Kevin, and Joe, starred in the Disney Channel Original Movie Camp Rock and its subsequent sequel, Camp Rock 2: The Final Jam. They even headlined their very own Disney Channel series Jonas, later rebranded as Jonas L.A., before it was cancelled after the first season. 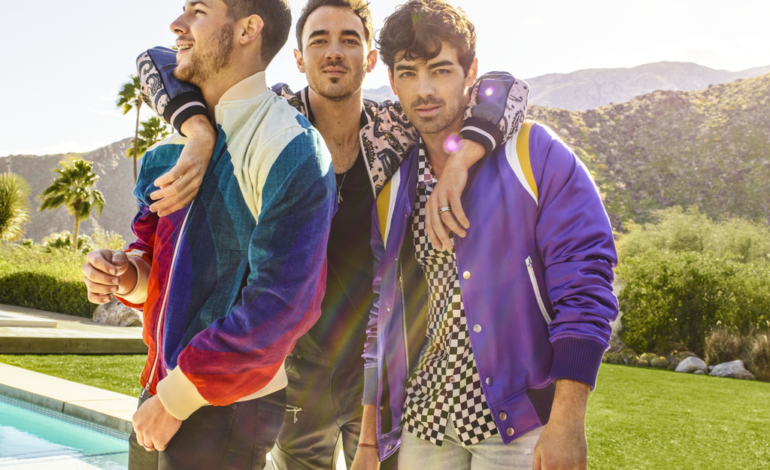 The band has released four albums in total: It’s About Time (2006), Jonas Brothers (2007), A Little Bit Longer (2008), and Lines, Vines and Trying Times (2009), before announcing their 2013 split. The documentary will debut as a Amazon Prime Original and will give die-hard fans “an intimate look” into the lives of the trio, despite the group mostly staying out of the music industry’s spotlight. However, just recently the brothers released a comeback single of sorts, titled Sucker which features each brother’s respective partners.